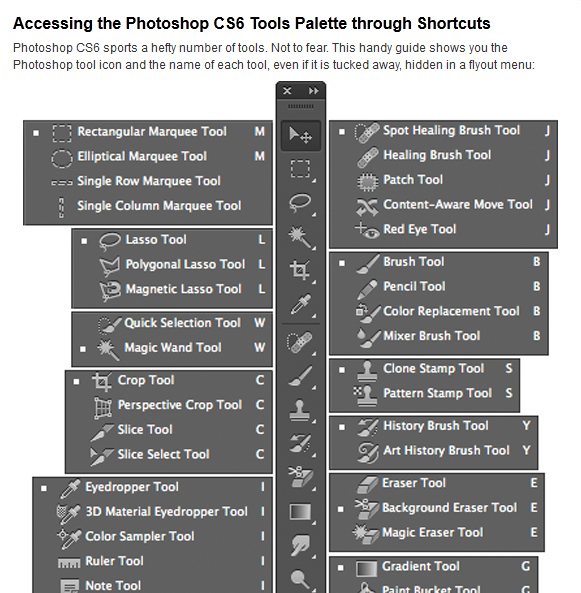 PS CS6 Cheat Sheet: an elegant Photoshop CS6 cheat sheet by ZeroLag. 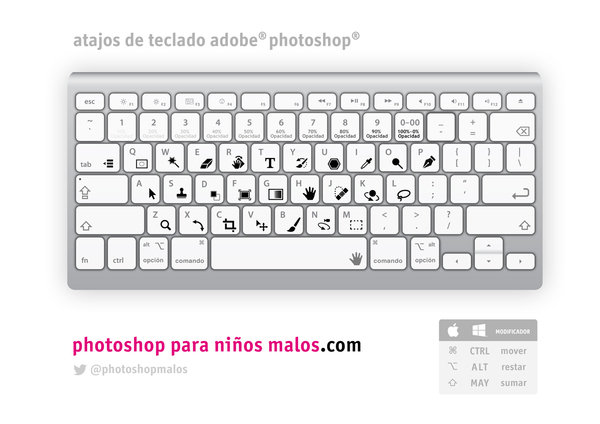 It shows you how to use your keyboard to become a more productive PS CS6 user. 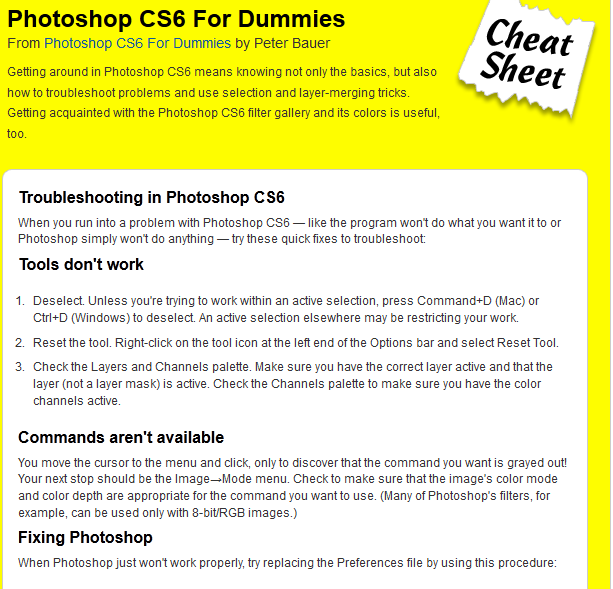 Photoshop CS6 All-in-One For Dummies: a complete cheat sheet for this photo suite. It covers commands and shortcuts. 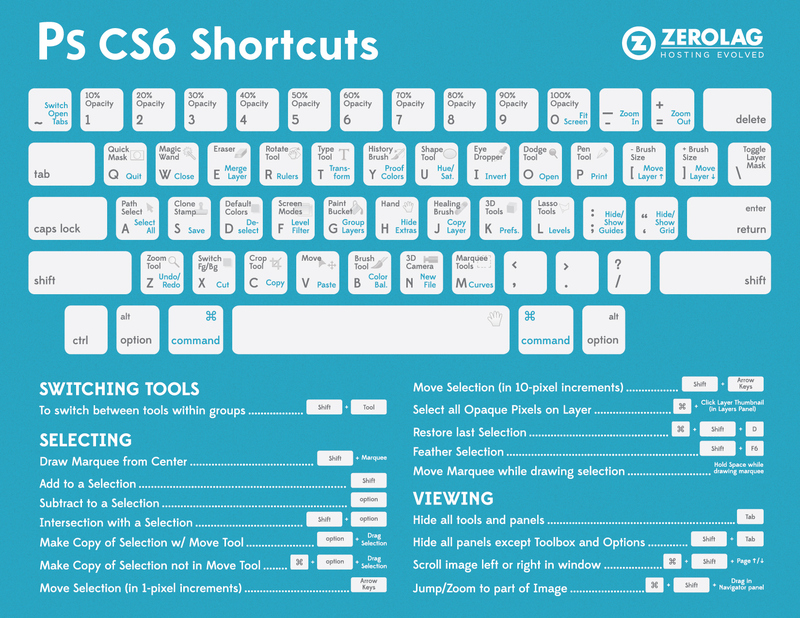 Adobe Photoshop CS6 Keyboard Shortcuts: covers some of the commands you need to be familiar with to make changes in Photoshop easily. 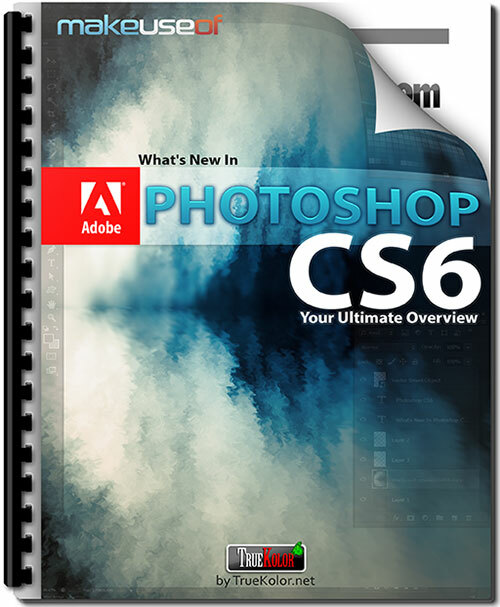 Photoshop CS6 for Dummies: covers the basics of Photoshop and shows you how to fix basic problems with your software. Photoshop CS6 – What’s New: this cool guide is useful for those of you who already know Photoshop and want to find out what’s new.